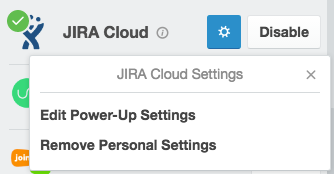 To enable the Power-Up, open the board menu on the right side of the page, select the Power-Ups menu option, and then click the "enable" button next to the Jira Cloud Power-Up. 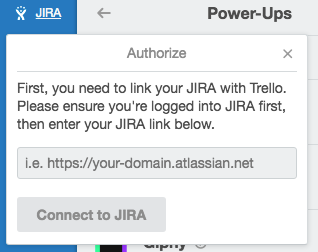 Note: The Jira Power-Up works with with Jira Cloud and Jira Server/Data Center (has to be accessible from the internet). 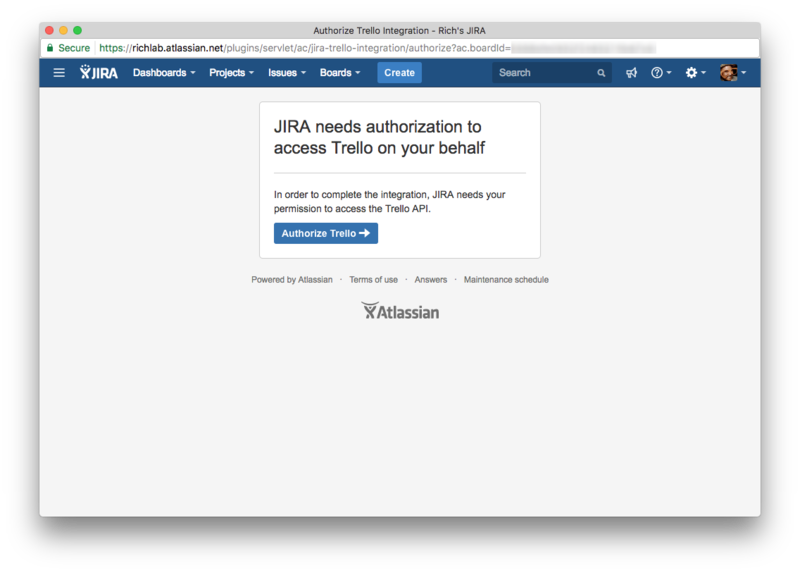 * If you're connecting to a Jira Server, you'll first need to install the Trello Connector for Jira Server app to your Jira Server. However, please be aware that your Jira Server has to be accessible on the public internet and not be behind SSO. 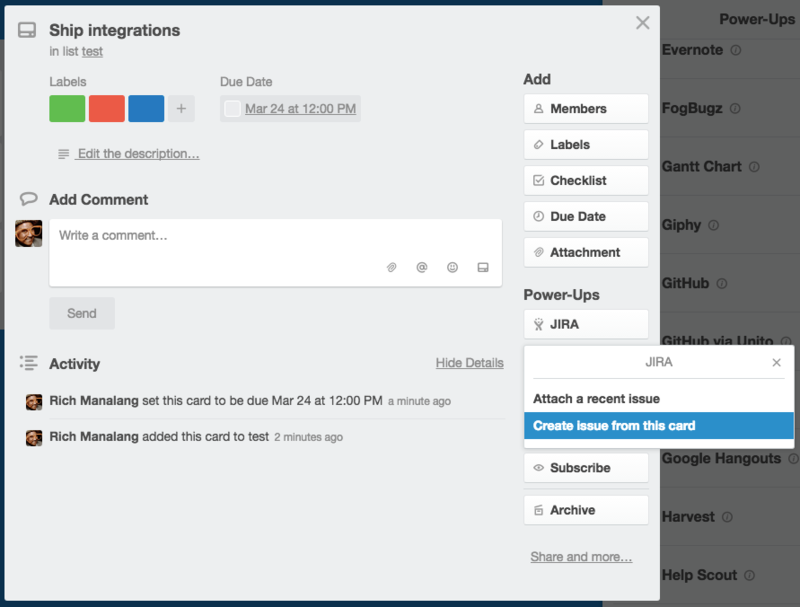 Ability to attach a Jira issue to a card. When you select "Attach a recent issue" from the Power-Up button in the card's menu, this will show your most recent issues and projects. 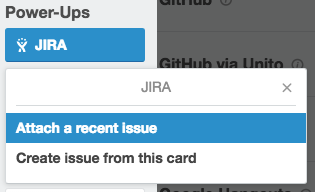 If you would like to attach an issue that isn't displayed in that list, you can add the URL for that issue as an attachment to the card, and the Power-Up will still display the information from Jira correctly. 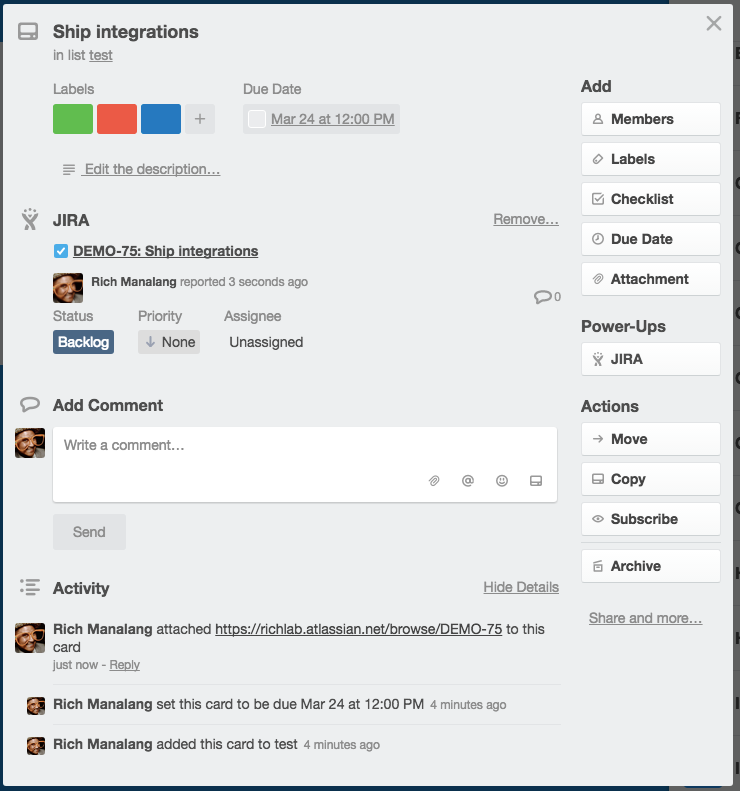 Likewise, you can use this same button to create a new issue in a Jira project using the card's title and description. 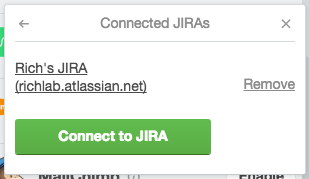 To remove the Jira instance you no longer want linked, click the "Remove" link. In the same edit menu above, you can select "Remove Personal Settings" in order to log out of your Jira account in Trello. Likewise, if you no longer want to use the Power-Up, you can click on the Disable button in the Power-Up sidebar. Note, this will remove the Power-Up for all users using this board.